Winter has set in and it’s cold outside!!! 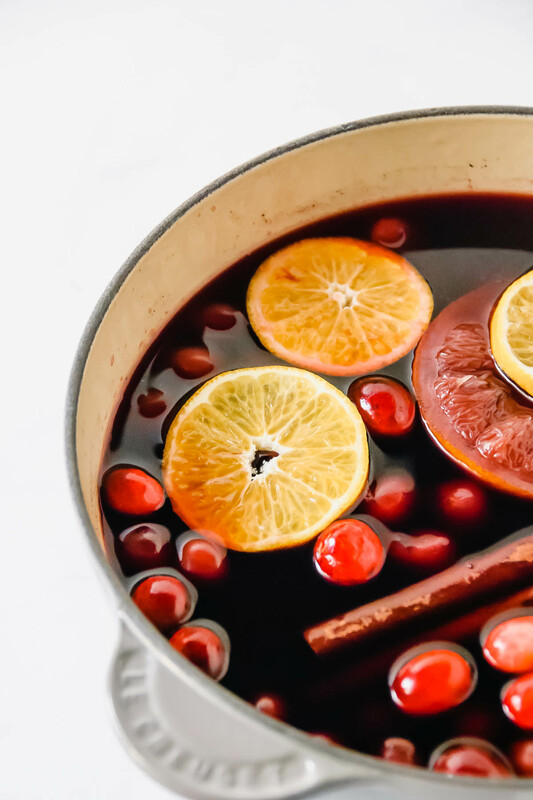 Why not get all comfy and cozy up by the fire with this fragrant mulled wine! Perfect for the holiday season and all winter! By the way, it makes your home smell delicious! 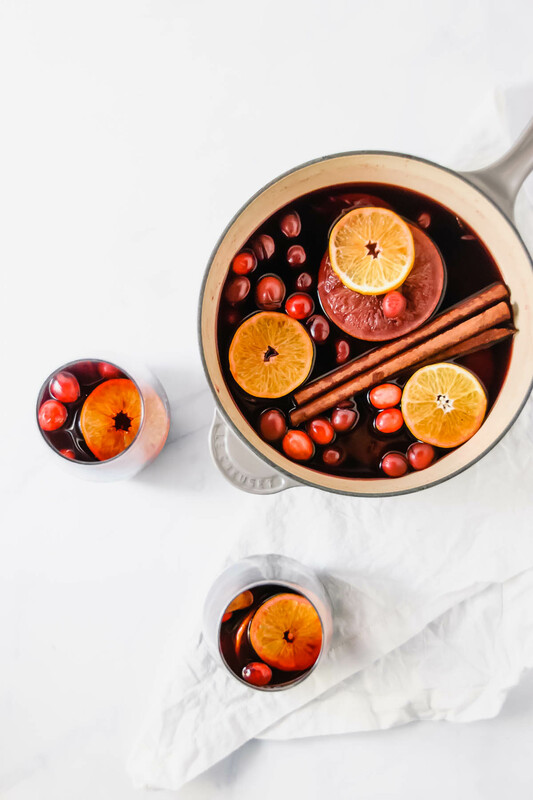 This mulled wine… IS DIVINE! If you want to make it just to have your home smell amazing I wouldn’t blame you! All the good smelling stuff is in there: cinnamon, cloves, nutmeg, oranges, cranberries and, of course, wine! 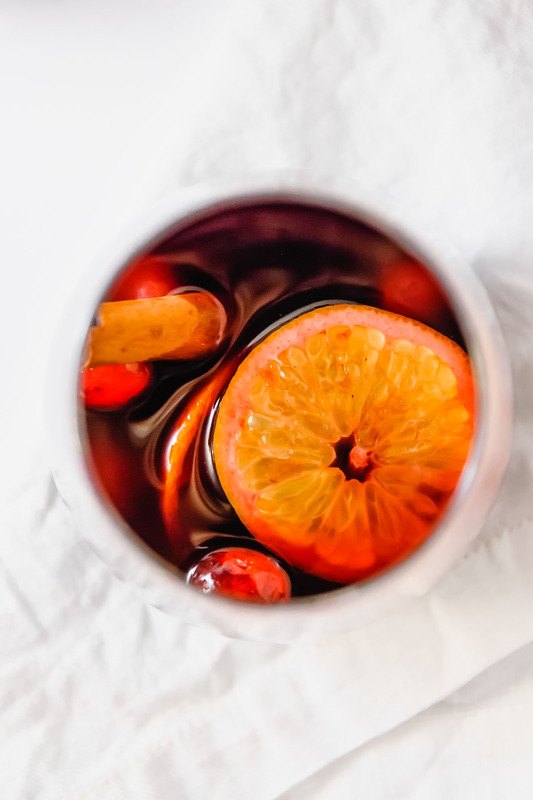 Food personalities used to joke on their television shows about how we should create smell-a-vision, with this cocktail recipe I couldn’t agree more! I wish there was a way you could scratch-and-sniff the photograph below to get a whiff – plus, it’ll probably entice you to try making it even more! 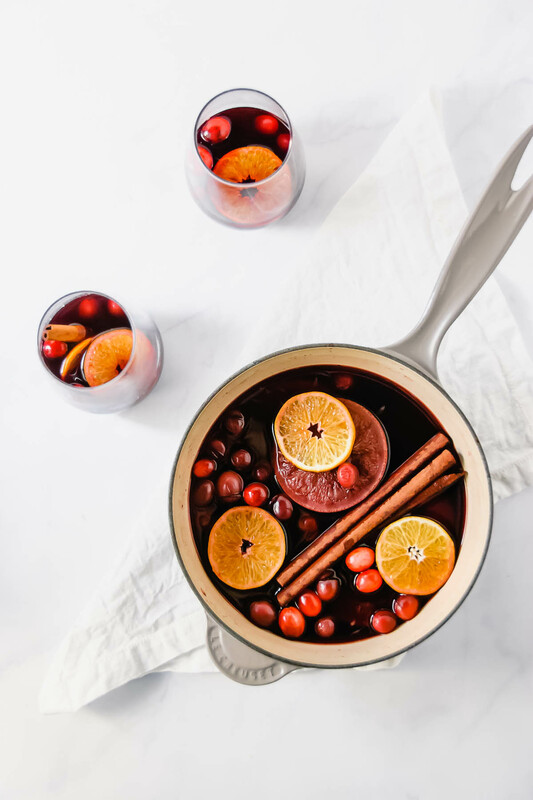 Before developing this recipe for mulled wine, I never really had it before so making it was a whole new experience. 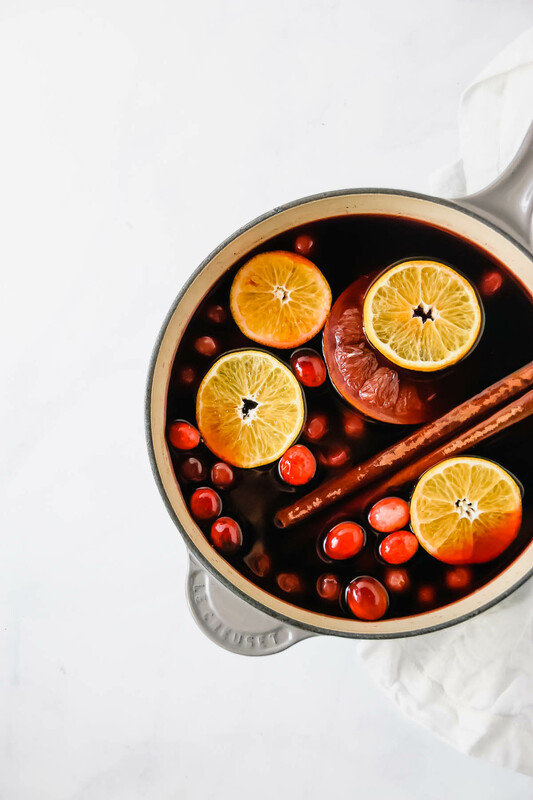 My biochemistry background told me I wanted to heat it, but I didn’t want it to boil or simmer too rapidly because what would be evaporating would be the alcohol – and we wouldn’t want that, would we! My solution was using my Le Creuset saucier (the color of the photographed saucier is oyster, I couldn’t find it on Amazon so I’ve linked to the cerise color – just as beautiful!). It’s an amazing pot for the job because it has a tight-fitting lid with a little hole at the top; perfect for keeping in all the evaporated alcohol with a little steam escape in case the heat was too high and the contents threaten to boil over. If you don’t have a nifty saucier, using a regular pot is ok too! Just keep the lid slightly open or keep a good watchful eye on your pot! As for the recipe itself? I went with spices I Iove which is basically everything found in the spiced apple cider recipe. However, I omitted the ginger because I didn’t think it would work and upped the quantities of the spices used so that they would become more apparent in a flavourful red wine. I was really happy with the results, but adding a touch of brown sugar was what made it extra special! In a medium pot or saucier, heat all ingredients over medium heat until it comes just to a simmer. Reduce heat to low, place the lid on top and simmer for 15 minutes. Serve warm with a mix of your garnishes.